It’s Sunday Funday craft time!!! 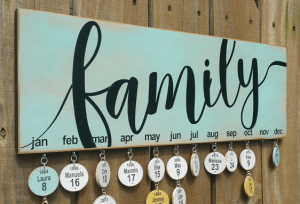 Come learn how to make your very own FAMILY BIRTHDAY CALENDAR at our Pinterest inspired art and craft studio! 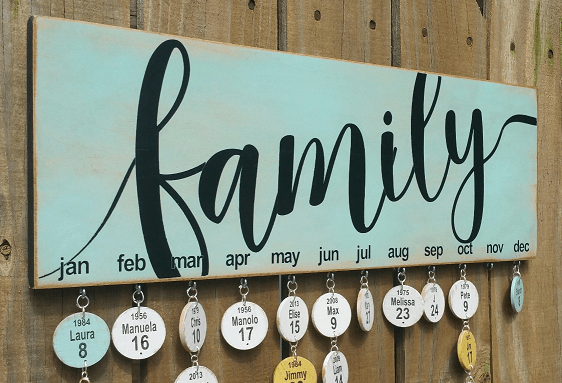 This adorable art project includes materials to make a family calendar to keep track of all of the special dates and occasions in your life! Come to have a fun and entertaining CRAFTERNOON with us! Events after 4pm are BYOB. Feel free to bring your own snacks or food – and craft the afternoon away! Arrive 15-20 minutes early to grab your seat! If you desire more time to unwind, visit with friends and breathe before we get crafty, feel free to arrive up to 30 minutes prior to start time!